This is my second in a series of Tampa cityscapes. 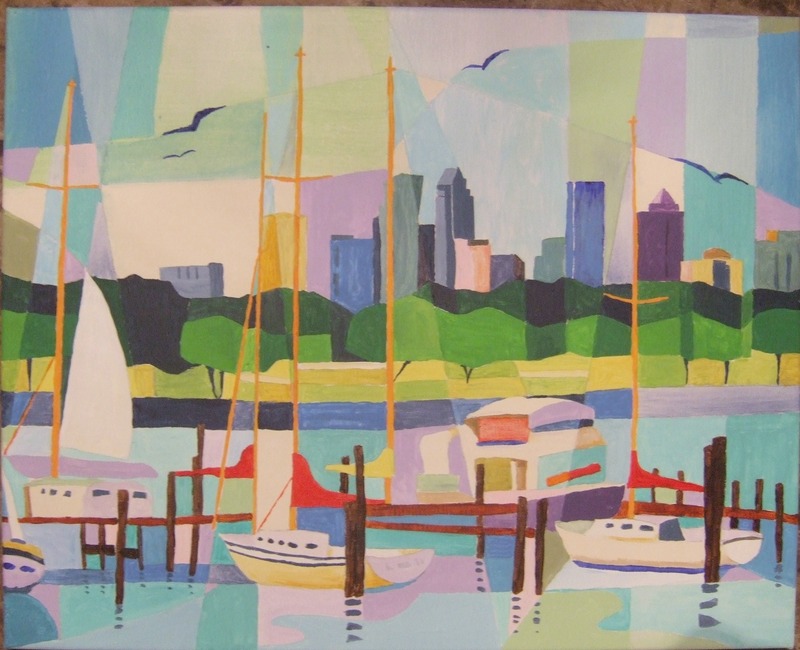 This is based on the view from U of Tampa across the Hillsborough River. 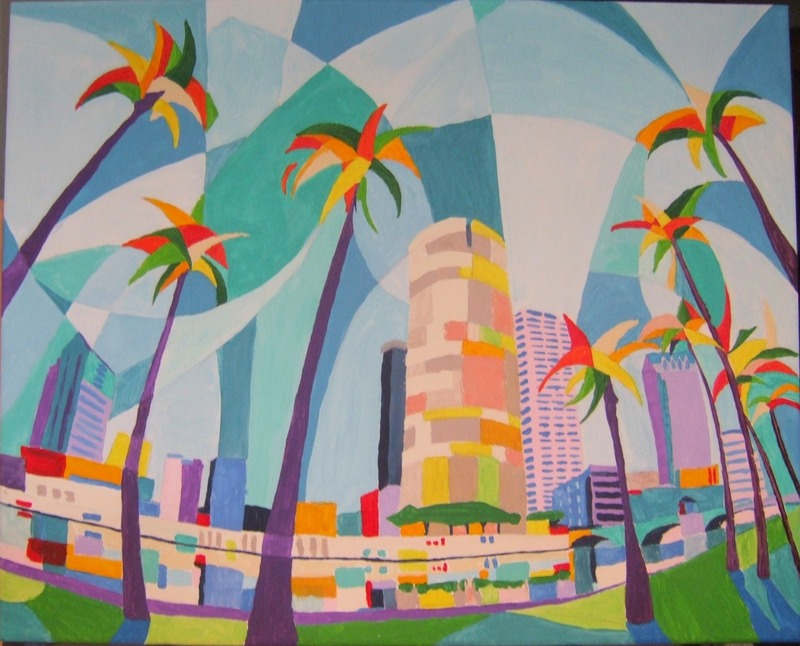 This is the first in a planned series of 3 or 4 Tampa-themed paintings. 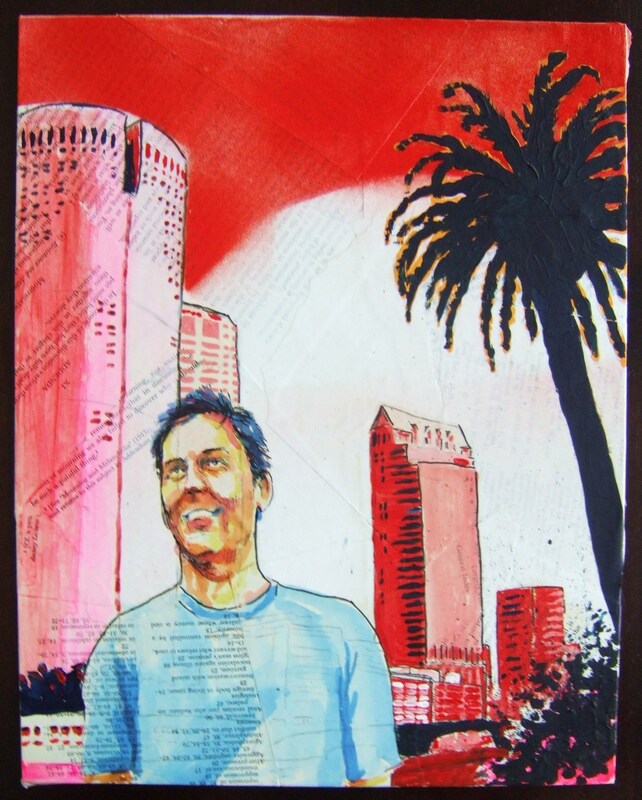 This is a portrait of a friend in mixed media. There’s a little bit of everything in here. I started by gluing some book pages to a canvas. 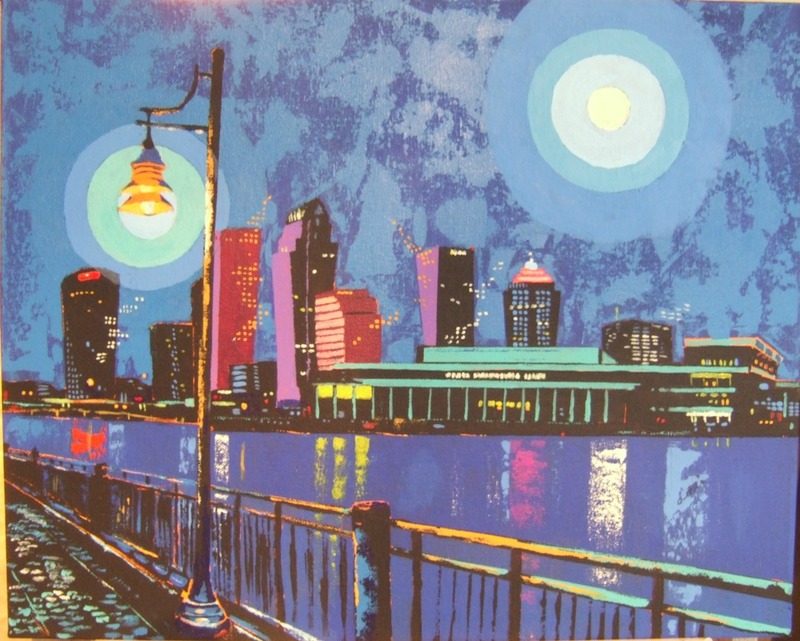 The Tampa skyline was done in ink and acrylic, with some red spray paint for the top of the sky. The figure is done with ink and acrylic ink washes. Not too far from my house there is a cool park called Lettuce Lake where you can walk along boardwalks and see all kinds of critters– gators, turtles, snakes, birds. And there are these giant old cypress trees that grow right out of the water. Every time I go I feel like I’ve stepped back in time to some prehistoric wilderness. 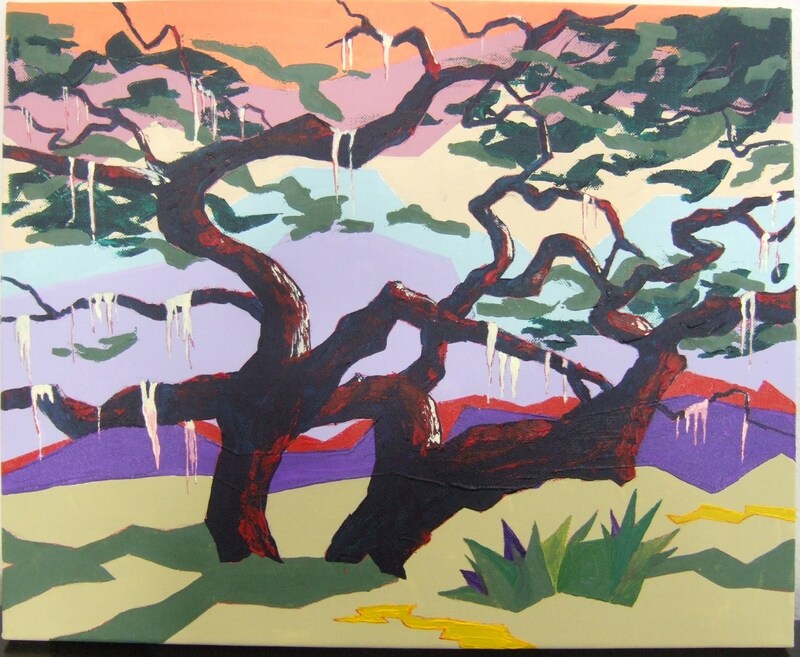 I love live oaks. 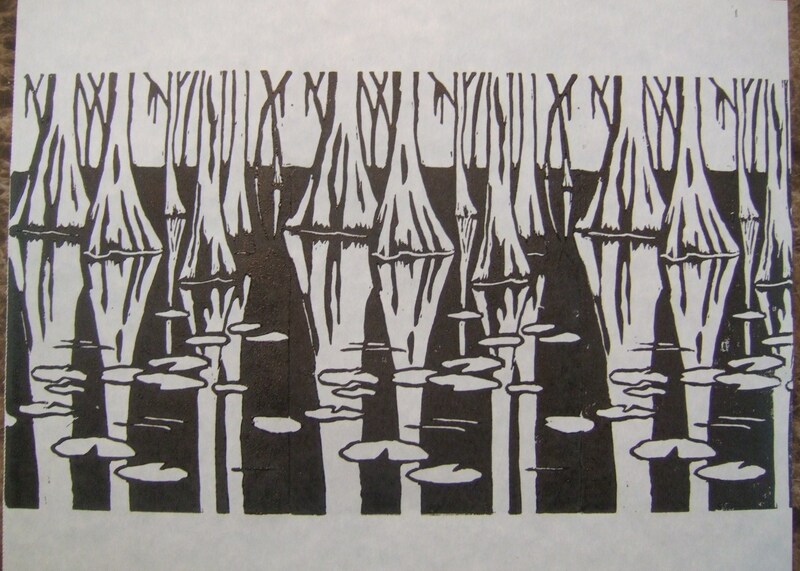 This was made with three separate linocuts on a roll of high quality honshu rice paper.